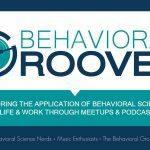 December 2009 – Behavior Matters! Steve Jobs has been called the greatest presenter ever – now I’m not sure if I agree with that statement, but I do agree that he is damn good. The following presentation highlights some of the key elements that make him good. While this isn’t really about motivation, it does highlight how to engage and captivate – lessons we can all use. It also is a good refresher to think about how we present our motivation information (i.e., Incentive Compensation Plans, Bonuses, Benefits, etc…) – do we present them in a manner that will engage and captivate, or do we overload people with numbers, rules, and data? How much more powerful would your incentive plan be if you were able to have Steve Jobs present it to your team? We would like to take a moment to give our thanks and best wishes to our blog and twitter friends. 2009 has been a challenging year for many of us and we are sincerely grateful for your RTs, comments, tweets, and readership. 2009 marked our venture into the social media world and what a ride it has been! We have learned from our hiccups and enjoyed our successes but none of it would have been possible without you. Thank you for being a part of the conversation and helping us spread the word about What Motivates You! We are looking forward to 2010 being a fantastic year and hope the same for you. We wish you and families much peace, hope, and joy now and in 2010. Day 2: Anyone Care for a Cuppa Tea? Day 4: Unleaded Cocktails Anyone? Day 6: No Soup For You? Welcome to Day 12 – the final day of My Mug and Me series. Today’s Travel Mug use is for anyone who needs a little pick me up. Water. Why water? Well the Travel Mug is not only conducive to drinking water out of but it also makes a great back up watering container for your plants. My office plant which contains a variety of herbs needs watering frequently. The Travel Mug works great as a watering container as the lid prevents the water from spilling everywhere. My computer does not like to get wet! This is a great gift idea for the plant lovers on your gift list. A beautiful plant for their office/cubicle, an RU Motivated Travel Mug, and an offer to plant sit the plant if they go on vacation. Ok so the last bit was for fun but I am sure they would appreciate the offer! Today is the final day of the 12 Days of My Mug and Me series. I wanted to take a moment to extend my sincerest gratitude for those that have been reading and enjoying the 12 Days of My Mug and Me series. It was a lot of fun to come up with the creative gift ideas and uses for the Travel Mug. I hope you have had some fun and received some good gift ideas. Wishing you safe and fun holidays. Today’s Travel Mug use is for young and old alike. It is healthy and nutritious and it may keep the doctor away. Hot apple cider from the local apple orchard. The trick is to warm up the apple cider in a microwave safe container or on the stovetop in a pan and then pour the apple cider into the Travel Mug. Place the lid on the Travel Mug and you have created a wonderful beverage to keep you warm on your holiday travels to see friends and family. This is a great gift for any apple lover who enjoys the fresh taste of apple cider and supports locally grown produce. An RU Motivated Travel Mug, fresh apple cider from a local apple orchard, and a gift certificate to the apple orchard to be enjoyed next fall when the apples are in season. Wishing you a wonderful weekend of health and happiness. I will see you for the last day of the series, Day 12, on Monday, December 21, 2009. Today’s Travel Mug use is for anyone who has ever gone camping and forgot to pack the dishes. A really great Granola that is healthy and very delicious! If you have ever been camping, you know that there is only so many things that you can pack and carry to your campsite. Then there are those items that you had planned to take with you but you forgot back on your kitchen counter at home. Never fear, if you need a make shift dish, the Travel Mug can come to your rescue. It will keep your beverages hot or cold and it works great for your morning breakfast cereal. The outdoors person would love this gift idea, an RU Motivated Travel Mug, homemade granola, camping utensils, and for fun throw in the new Starbucks VIA™ Ready Brew coffee packs. This way they can have their breakfast in their Travel Mug and afterwards enjoy a great cup of coffee sitting by the campfire. Life is grand! Enjoy an evening warming up by the fire. See you tomorrow! Today’s Travel Mug use is for a classic Holiday Beverage – Eggnog. This particular Eggnog is unleaded so no alcohol is involved just straight from the carton goodness. Good ol’ fashioned Eggnog straight from the carton with a sprinkle of nutmeg on top. Personally it would take me awhile to consume this much Eggnog but it makes for a prettier picture when the Travel Mug is full to the rim. Regardless, the Eggnog stays nice and cool in the Travel Mug and the Holiday spirit is in full swing. · Which movie does the following quote come from? It is one of my all time favorites! Eddie: Naw, I’m doing just fine, Clark. Today’s gift idea includes a little holiday fun, an RU Motivated Travel Mug, Eggnog, Real Nutmeg , a Nutmeg Grater, and their favorite holiday movie to watch while enjoying their Eggnog. Today’s Travel Mug use is for another great hot beverage. The temperature is a mighty -9 this morning in Minnesota so this next hot beverage was a welcome addition to the list. Today’s mug contains a wonderful Chai Tea. What is Chai Tea? It is a fabulous combination of black tea, cardamom, cinnamon, ginger, nutmeg, sugar, milk, and cloves. The ingredients can vary from recipe to recipe but these are the basics. You can make Chai Tea at home or order it at your favorite coffee shop, either way it is a nice change from coffee or regular tea. Today’s gift idea includes spices galore that will perk up any gift recipient. An RU Motivated Travel Mug, ingredients to make homemade Chai Tea, and your favorite recipe for Chai Tea. This way they can make a wonderful cup of Chai Tea anytime they want and keep it warm in their Travel Mug. Have an excellent Tuesday! Looking forward to Day 9! Today’s Travel Mug use flourishes in creativity; it uses what you have in place of something you do not have around your office or cubicle. Today’s mug contains a beautiful bouquet of flowers. Have you ever run errands during lunch and saw a beautiful bouquet of flowers but realized you do not have a vase back at your work place? Well here is a quick and easy solution. Grab your travel mug, fill it up with water, and stick the flowers in the mug. This is a great place for the flowers to hang out until they need to make their trip home. If you need a little cheering up around your office then leave the flowers in the mug and keep the flowers at work. What a great way to cheer yourself up and those around you with a bright bouquet of flowers. · There are over 100 varieties of poinsettias available. A fresh bouquet of flowers arranged inside an RU Motivated Travel Mug, would bring a smile to anyone’s face. Pick up your colleague’s or friend’s favorite flowers and arrange them in the travel mug with a little water and you have created an easy, thoughtful, and beautiful gift. For an extra touch include a gift card to a local greenhouse or floral shop for them to enjoy at their leisure. Wishing you a wonderful Monday! See you tomorrow for Day 8. It is a bitter and chilly morning in Minnesota and a perfect day to have soup for lunch. Can anyone guess where today’s article title comes from? Keep reading and if you can’t remember I will give you a clue later on in the article. Today’s Travel Mug use is about keeping hot things hot and utilizing my mug for something other than a beverage. Hint: The title for today’s article came from a famous TV episode that first aired on November 2, 1995. Can you guess which TV show it is from? Create a soup gift package for your favorite soup connoisseur. An RU Motivated Travel Mug, your favorite homemade soup recipe, ingredients to make the soup, and a fabulous container to place the finished soup in. Even better, make the soup yourself and provide that as part of your gift and be sure to include the recipe! I hope you have enjoyed this week of My Mug and Me. The series will pick up again on Monday, December 14, 2009 with Day 7. Wishing you a wonderful weekend and for those under the cold winter spell, stay warm! The holiday season seems to be in full swing with newly fallen snow in Minnesota and the temperatures falling, winter is here. Today’s Travel Mug use involves chocolate, peppermint, and whip cream. Now that is a heavenly combination. After 10 am I typically need to turn off the caffeine consumption and switch to something else. We have talked about Peppermint Tea already so let’s talk about one of my other favorites, it involves Peppermint but with a chocolate twist. Velvety hot chocolate, with a shot of Peppermint flavoring, and of course topped off with whip cream. It is almost a dessert in a mug, life doesn’t get much better than that! This great gift idea can be homemade, purchased, or a combination of both. An RU Motivated Travel Mug, homemade hot chocolate mix or purchase a really good hot chocolate mix, Peppermint Syrup, Reddi Whip or any whipped cream, and of course mini marshmallows. This is a quick and easy gift that fits all price ranges from low to high and completely customized to your gift recipient. Want to take the gift up a notch? Check out the Mini-Whipper at Williams and Sonoma create the coffee shop experience right at home! Thanks for coming along for the adventure. The gift idea for Day 6 will warm you up!